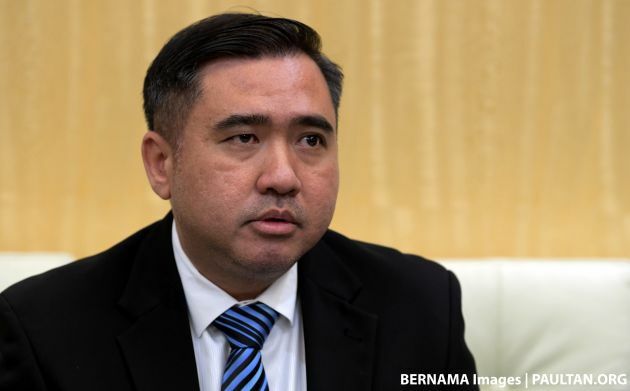 The Road Transport Department (JPJ) has collected RM4.23 billion in revenue for last year, the bulk of which was from road tax renewals, said transport minister Anthony Loke. According to The Star, Loke said that road tax renewals accounted for 69% of the amount, an increase of 3.32% when compared to the revenue collected in 2017. “I want to take this opportunity to congratulate all JPJ officers for their hard work over the years,” he said during his speech at the 73rd JPJ Day celebration recently. Loke also said JPJ was now among the top four departments with the highest revenue collected, besides the Customs Department, Inland Revenue Board and Immigration Department. “In order to maintain quality service for the people, JPJ must ensure that its services always exceed the people’s expectations,” he noted, adding that “they must be fast in taking action, have flexible policies as well as provide the best services by using the latest technology.” Loke said the JPJ aims to collect RM4.3 billion in revenue this year. This is good news ad the money can be used now to rebuild our infrastructure, schools and hospitals. Thank you Loke for being so transparent. JPJ is doing very well now. Agree with that, but let’s start by channeling JPJ revenue towards better roads, more lanes, reducing toll charges (or completely abolishing it since we are already paying “road-tax” for the road, right? ), traffic control, smarter traffic light systems and more improvements for the benefit of road users. For infra, schools, hospitals, etc… we have LHDN revenue for that. Err so where’s the news? Basically it is telling us JPJ revenue increased due to more cars are registered. Doesn’t take a genius to figure that out so why is our Transport Minster spending his time doing a press conference to tell us what my 5 year old kid can tell me? he just sharing the figure ma.. rakyat asyik want transparent.. now meh transparent lo. why you tak happy. I prefer they be transparent with how much commission (over table and under table) they get from continuing to sell fancy number plates. Now is FC. Like shown above: Face Clueless. Mostly car owners with expired road tax. The most transparent is for him to do his job without promoting it. When/If we see the changes, we will know how transparent they are. Learn to be happy. At least he is transparent. Everything also must complain. We don’t need to know about your 5 year old kid. So under PH we can’t complain? Is that how it goes? No transparency just learn to be happy with what being shoveled to us? Is this how New Malaysia should be? If you peeps don’t learn to appreciate feedback and criticism that is worse than Old Malaysia! And before this those figures never been shared yearly? It can be used back for further improvement of the existing road infrastructures. Nope, now state JPJ director will think which vehicle in their inventory cam be scrap so they can buy new cars…hahahah. Anyway, a better way to spend the income is donate a bit to the police force. Their logistic esp for patrolling purpose is garbage. 1 bil can buy lots of vehicle. there’s goes my dream to own high cc car with low roadtax payment. JPJ is makan gaji buta, in my book…. Calculation on vehicle road tax base on engine cc need to change. It’s outdated.